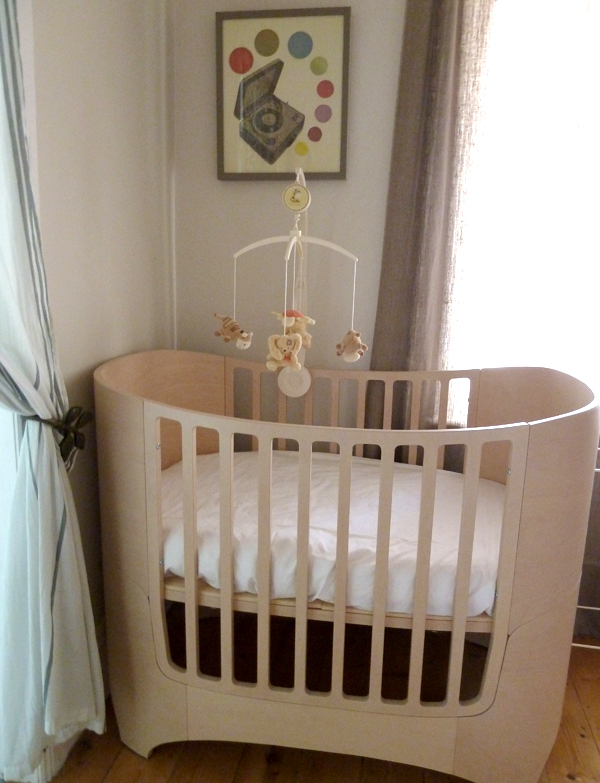 The cot is assembled, although I still need to figure out the baby monitor. Why does it come with 2 sensor pads if the second one is 'optional'? Why are European instruction manuals so confusing? 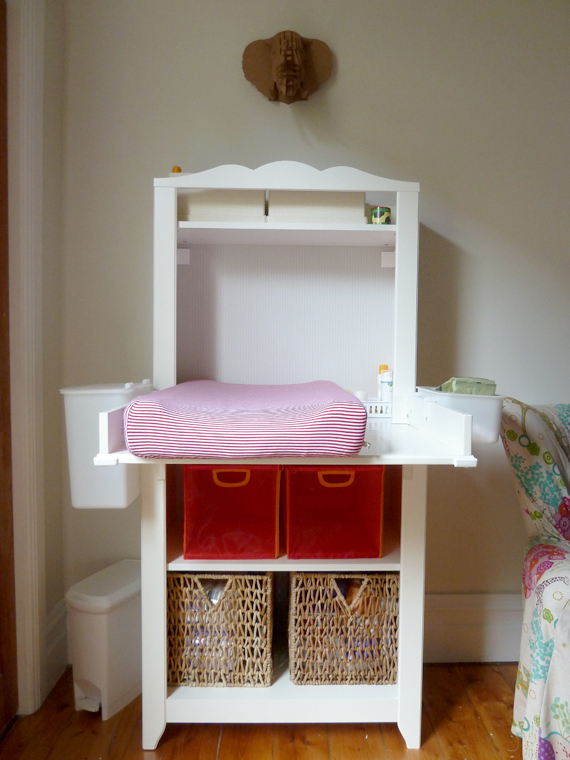 The 'baby's ensuite' now has running water in the old washstand. 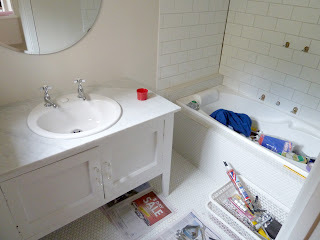 Tom did an amazing job revamping this old piece. Looks great, huh? 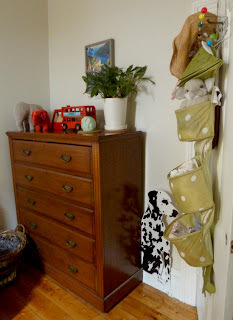 And with the bathroom dust-free now and so close to completion the nursery is finally taking shape. 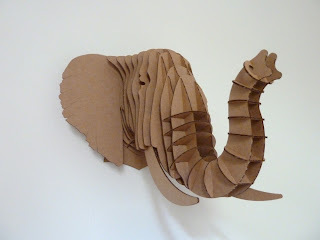 and this super cool cardboard elephant puzzle from Urban Outfiitters. 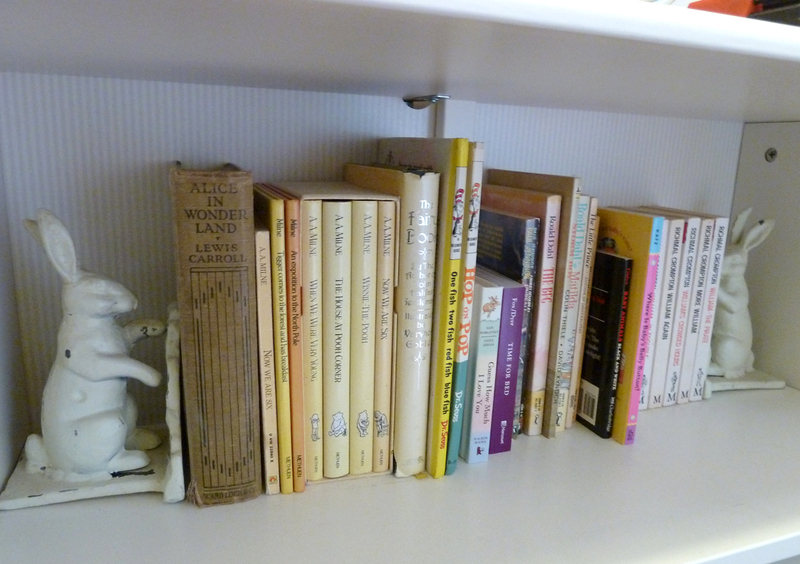 Finally a good home for these cast iron bunny bookends I picked up years ago in an op shop in Tilba Tilba. 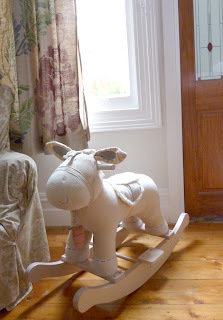 'Carrots' the donkey rocker - a gorgeous gift from Mum. He makes a 'crunching' sound when you hold the carrot up to his muzzle. 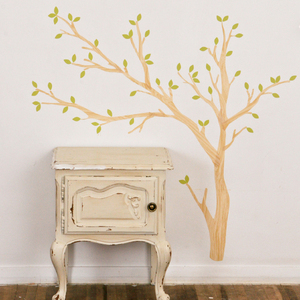 And for the pièce de résistance, I've ordered one of these beautiful Love Mae fabric tree decals. 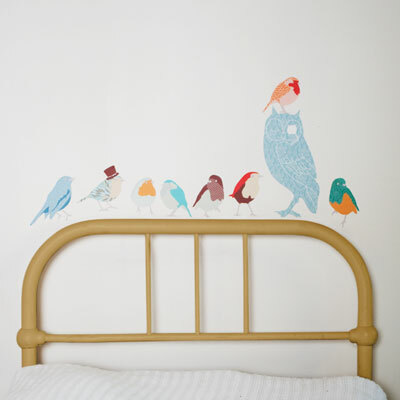 Plus a few birds to dot throughout the branches. Let's hope our little one loves their enchanted forest as much as I do.